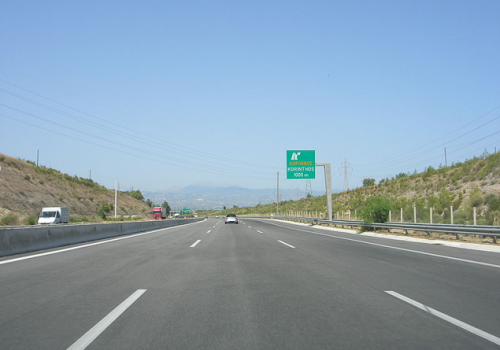 “The works in the new Corinth-Patras highway will be completed in March 2017 making the highway fully operational” said Infrastructure Minister Christos Spirtzis during a speech at a development conference organized in the city of Patras by the Peloponnese newspaper. Macgrid WG, Macgrid T, Macmat R and Steelgrid MO, have been supplied and already installed across the highway. Our support on this crucial national project does not simply end with the supply of our materials. During the construction works, we have been in close contact with the designers and the contactors involved in the Corinth-Patras project and we are still supporting them with technical proposals and solutions related to any issue that may have occurred during the construction phase. We do follow our motto “Engineering a better solution”. As an example, our last technical proposal directed at a designer in this project was to substitute some concrete walls with gabion walls, thus reducing the cost of the construction and, of course, the environmental and aesthetic impact. The design was made by Maccaferri Hellas by using our Macstars 4 software, in accordance with the designer’s requirements, checked and approved by our technical department in Italy and ultimately given to the designer for implementation in his project. We are committed to be a technical reference concerning our solutions and we always care about providing the best technical – economical answer with the least environmental impact. This is the reason why we have succeeded all these years as a leading solution provider – supplier worldwide. For further information about our Erosion Control applications, please contact us.